What's Next for Fox Film CEO Stacey Snider After Disney Closes Deal? 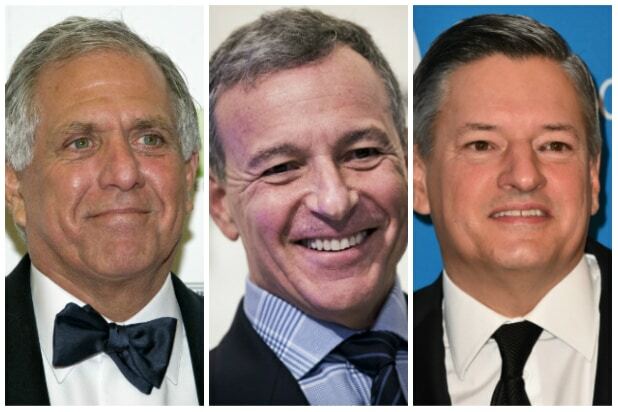 The Walt Disney Co. has officially laid claim to the top-level executives at Fox that the company wants to keep once it finalizes its $71.3 billion acquisition for the majority of the Murdoch family’s entertainment assets — but Fox film chief Stacey Snider won’t be making the move. That puts Snider, a well-liked and respected executive who has had stints running Universal Pictures, DreamWorks and currently 20th Century Fox, in play at a time when Hollywood is craving experienced leadership. “Literally I’d be outside the lot right now with a lobster bib on,” REDEF CEO Jason Hirschhorn said at this month’s TheWrap-sponsored media and entertainment conference TheGrill. Fox did not respond to requests for comment about Snider’s post-Fox plans, but interviews with Hollywood insiders suggest several paths for her once the Disney deal closes. 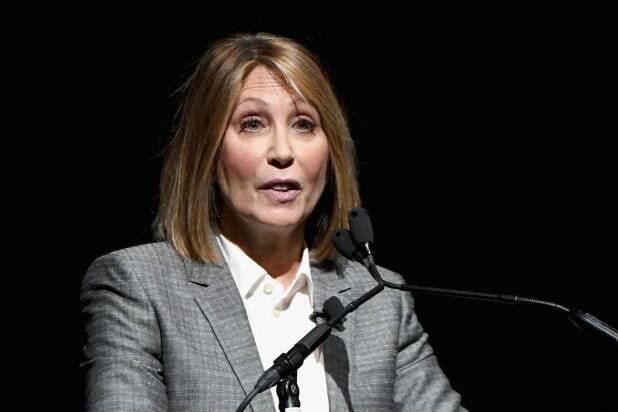 With her background, it would make sense that Snider would want to run another major studio. She’s been at the solo helm of Fox’s film studio since taking over in 2016 after the ouster of now-Paramount CEO Jim Gianopulos. Before that, she served as co-chairman alongside Gianopulos. Paramount is rebounding and producing hits again under Gianopulos; Sony just reinforced its faith in Tom Rothman by extending his contract for five years on the eve of breakout hit “Venom;” and AT&T retained Warner Bros. CEO Kevin Tsujihara after its multibillion-dollar acquisition of Time Warner over the summer. With the major Hollywood studios locked up, Snider could turn to one of the town’s upstart studios. The insider suggested MGM, which has been run by an assortment of senior leadership and division heads known as the “Office of the CEO” since Gary Barber’s surprise ouster last March. And last year, MGM inked a deal with Annapurna Pictures to return to domestic distribution while retaining control of major projects like next month’s “Rocky” spinoff sequel “Creed 2” and the upcoming 25th James Bond film, starring Daniel Craig. Speaking of Annapurna, the Megan Ellison-run company lost its head of film Chelsea Barnard last week after parting ways with president Marc Weinstock in June. The company decided over the summer to dissolve Weinstock’s position and redistribute his duties, and Ellison now wants to take a more active role in the studio’s day-to-day as it looks to reevaluate the film division and rein in spending. There’s also STX, which hasn’t filled the hole left by entertainment president Sophie Watts when she exited the company in January — if at this point STX even has a desire to replace her. CEO Robert Simonds is still running the company. And Lantern Entertainment is still looking for a new CEO to relaunch the indie studio formerly known as The Weinstein Company, though it’s unclear how much Dallas-based Lantern Capital is interested in investing in a venture that’s well outside its usual wheelhouse as a middle-market private equity firm. The company emerged with TWC in a bankruptcy auction in April at a sale price later lowered to $287 million. The streaming giants all seem to be looking to make a big splash in film, which would make Snider a desirable commodity. Hirschhorn noted that she might be particularly needed at Hulu, which has been mainly focused on TV and documentaries. But while companies like Netflix, Amazon Studios and Apple would likely benefit from bringing in an executive with experience running a major studio, most of the top jobs are already taken. And Netflix seems to be doing just fine under the supervision of original films head Scott Stuber and chief content officer Ted Sarandos. Snider could also become her own boss, partnering with finance types to launch her own production or distribution company. Roy Salter, a senior advisor at FTI Consulting, told TheWrap that an executive Snider’s caliber has endless opportunities in Hollywood. “Capital, in my view, would be well served to strongly consider the judgment of this type of professional, particularly as there as so few possessing these abilities.” Salter said. “Judging by results, Stacey Snider is one of this industry’s unique professionals that possesses the ability to assess and manage the production and release of content that works both commercially and creatively. There are a lot of risks, however, in trying to get a new company off the ground — and the recent box office record of junior studios like STX and the financial struggles of Ryan Kavanaugh’s Relativity Studios, Global Road and recently Annapurna are not exactly encouraging. Another option for Snider would be the more traditional route for top studio executives who find themselves out of the corner office — setting up a production banner on the (soon-to-be Disney) lot. Sue Kroll took a similar approach, launching her own production label Kroll & Co. Entertainment at Warner Bros. after stepping down as head of marketing and distribution in January. She’s an exec producer on the hit “A Star Is Born,” and has set up the upcoming female-led superhero flick “Birds of Prey” at the studio with Margot Robbie. Disney has offered next to no details into how the Fox studio and its different banners would be incorporated into the new company and exactly what the layout and hierarchy of the studios will look like. The insider told TheWrap that while it seemed unlikely that Snider would want to launch a full-fledged production shop, producing some films in partnership with a studio could be plausible — especially in the interim, until another top job opens up.